Take-away service - At Quality Indian Camposol. 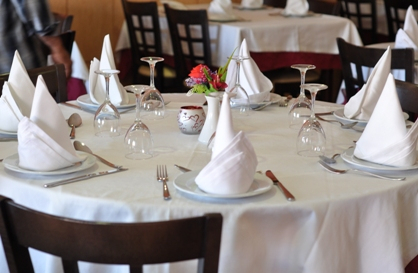 As well as an in-house service, the restaurants also offer a take-away service to order. 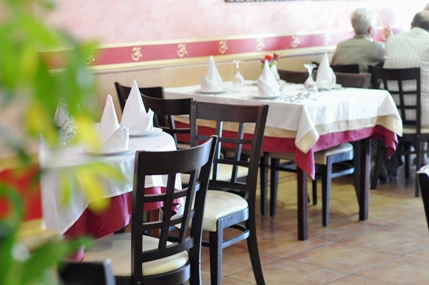 At Quality Indian Camposol - All the meals are freshly prepared to order, and include all of the traditional favourites: Tandoori chicken, Kormas, Baltis, Pasandas, Dansak, Palak and, for those of you with a taste for something a little hotter: vindaloos. A wide variety of spice combinations ensures that diners can order something to suit their own individual tastes, so there are mildly spiced creamy dishes, mouth-poppingly hot dishes, and richly flavoured options using a selection of meats and fish. Vegetarians are also well catered for, with an imaginative selection of vegetarian dishes. The chef has over 25 years of experience, including several years working in a 5 star Indian Hotel, so also offers a number of exclusive house specials. Chef is particularly proudof his tandoor dishes, recommending Kalmi Kebab, chicken marinated in white muglai paste before being cooked in a clay oven, Tangri stuffed kebab (chicken legs stuffed with mincemeat), yoghurt, cashews and white pepper paste, then cooked in a tandoor oven, Chicken Malai Tika, which is supreme chicken, marinated in yoghurt and a white spiced sauce then cooked in a tandoor, and Reshmi Kebab, which comprises chicken cubes marinated in white masala before being cooked in a clay tandoor and served with Resham. 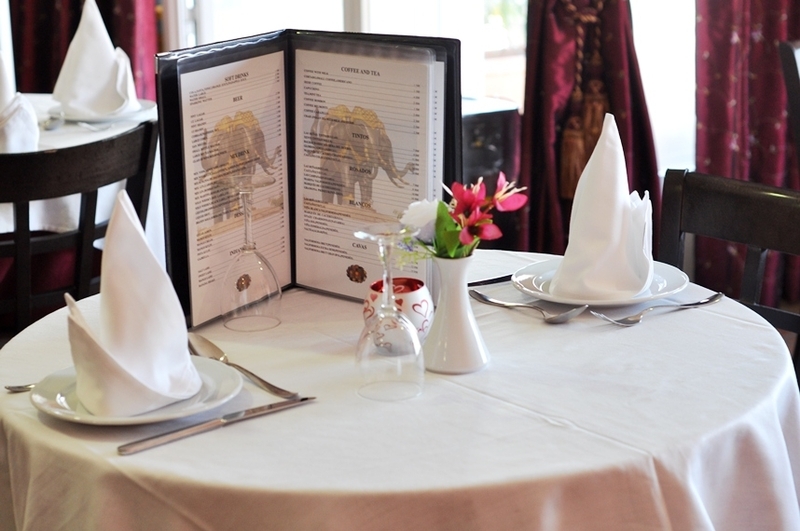 The restaurants also stock Indian beers, as no true Indian meal is complete without a Kingfisher or Cobra beer on the table, and there is also a wide selection of other beverages available. 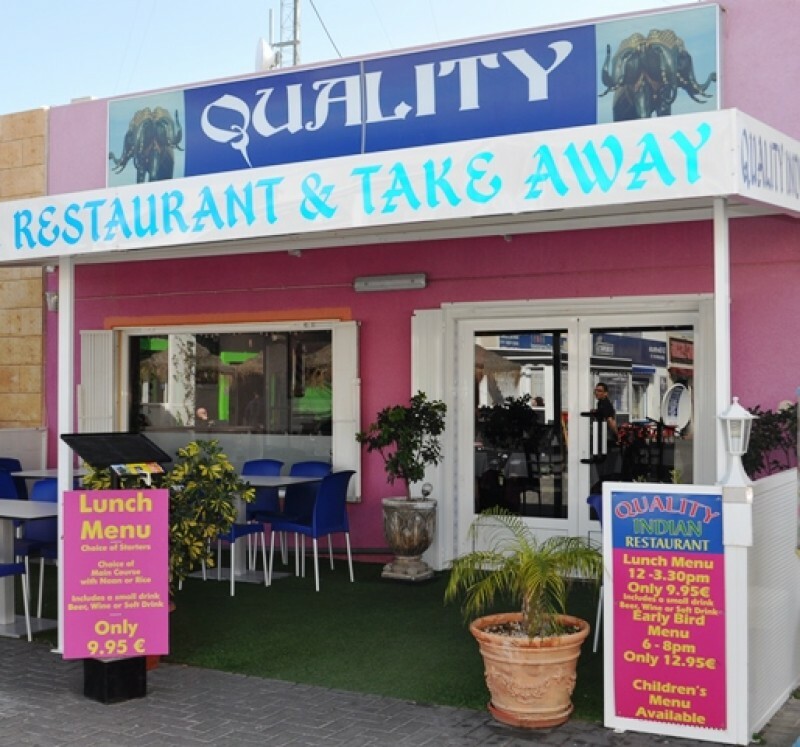 The Quality Indian restaurant on Camposol - Commercial Centre B offers a wide range of quality Indian restaurant dishes with something to suit all tastes. 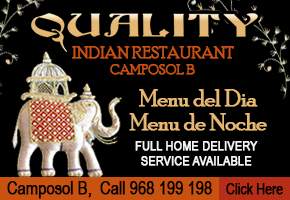 Quality Indian Camposol also offers Menú Del Día and Menú de Noche. 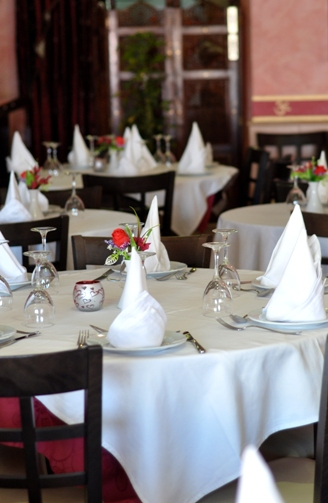 The Spanish tradition of the Menú del Día has been adopted by the restaurant and at lunchtime they offer a very competitively priced menu between 1.30pm and 3.30pm, with a starter, a main meal dish with rice or naan for just 9.95€ per head. With a small beer, wine or soft drink also. In the evenings there is also a well-priced Menu de Noche available for 12.95€, which comprises a choice of starters, main courses and a variety of different rices or naan breads. Set Menus A variety of set menus are available for couples or groups and the restaurant is happy to offer special menus for groups or parties. FREE Home Delivery to all Sections of Camposol, the Mazarrón Country Club is available, with a free bottle of wine on orders over 25 euros. Opening Times for Camposol: 12 Midday to 3.30pm and 6pm to midnight 7 days a week. 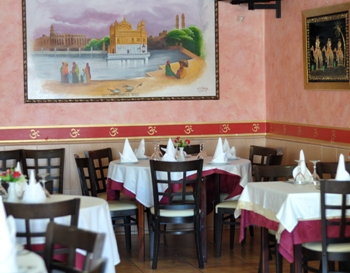 Where is the Quality Indian Restaurant on Camposol? Quality Indian Restaurant, Camposol Commercial Sector B Camposol is divided by the main Mazarrón -Alhama road. On one side is Sector A (now known as Los Palacios) and on the other are sectors B, C and D, with B being nearest to the road. Visitors arriving from Mazarrón drive onto Sector A, so need to go around the roundabout and over the carriageway onto Sector B. Those coming from Alhama direction will arrive directly at the Sector B roundabout. The Commercial Sector is located alongside the carriageway, about 100 metres from the roundabout. 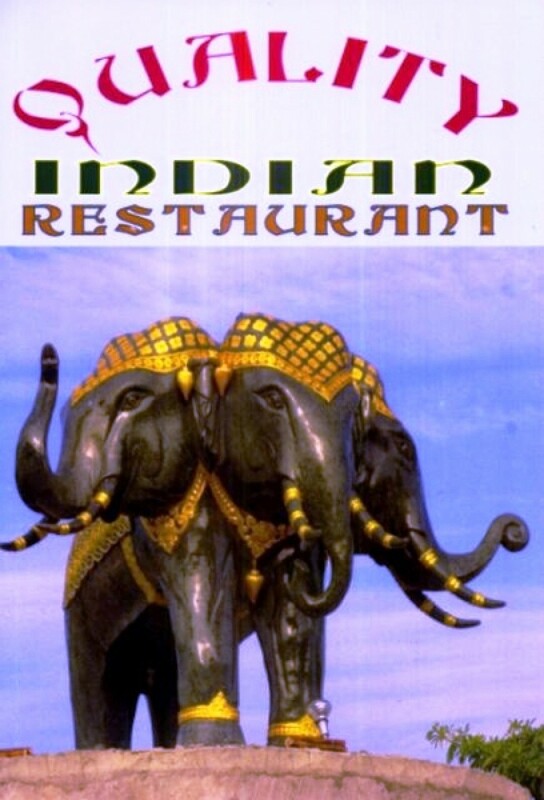 There is plenty of parking in front of the Commercial sector, and the Quality Indian restaurant can be found in the centre of the U-shaped shopping area. We have attached our current menu below. Please click on any image to enlarge. Please remember to check your Junk Mail as the reply to this email is likely to be placed into this folder on the first occasion.